The following story is from the ABC news service 15/3/2017. Students need to be aware that certain Queensland senators are also pushing for a similar law. Why would this law be unconstitutional in Australia in 2017? How could a law such as this ever be legislated in Australia with regard to the current wording in our constitution? 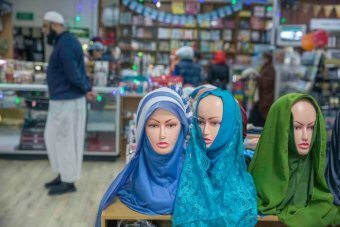 European companies may forbid staff from wearing Islamic headscarves and other visible religious symbols under certain conditions, the European Union’s top court has ruled, setting off a storm of complaints from rights groups and religious leaders. Such a ban does not constitute what Europe’s high court calls “direct discrimination”. The ruling made by the European Court of Justice, the highest court in the 28-nation EU, was in response to two cases brought by a Belgian and a French woman, both fired for refusing to remove their headscarves.